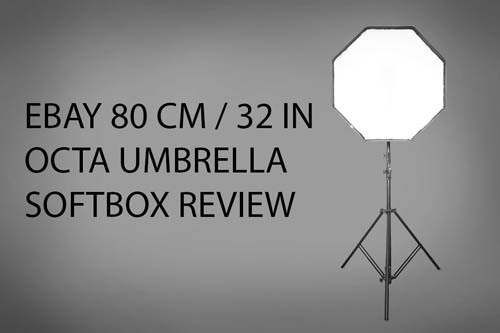 Recently I purchased a 80 cm / 32 inch Octa umbrella softbox from eBay. 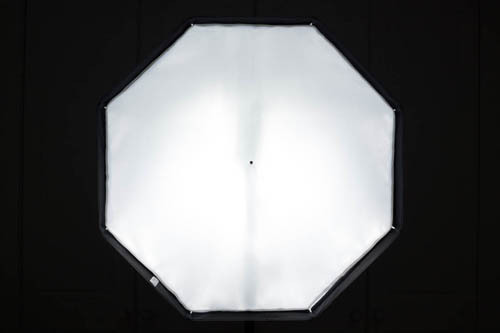 The item is a cross between an umbrella and a softbox. It folds up like an umbrella, which makes it easily transportable, and takes up much less room than a collapsed softbox. What is it / How does it work? 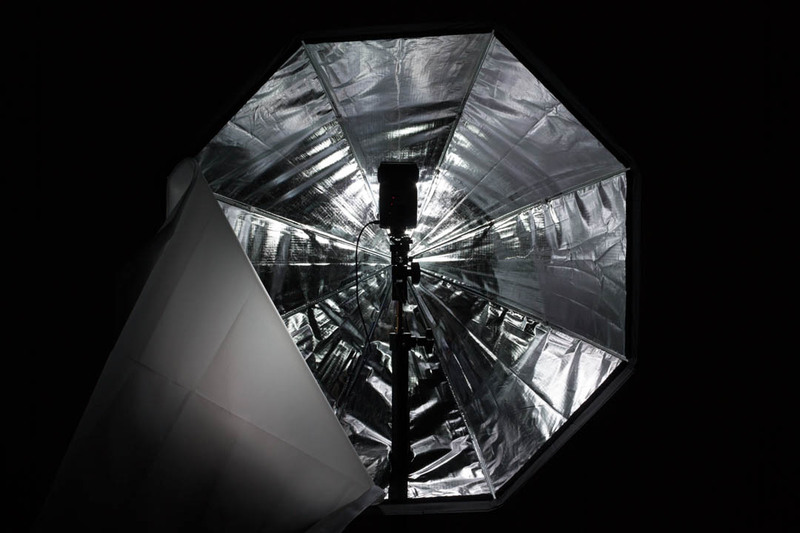 The umbrella softbox has a zipped slit in the bottom, though which you insert the top of the light stand. You need to use an umbrella holder on top of the light stand. Then insert the umbrella's shaft through the holder secure it to the stand. 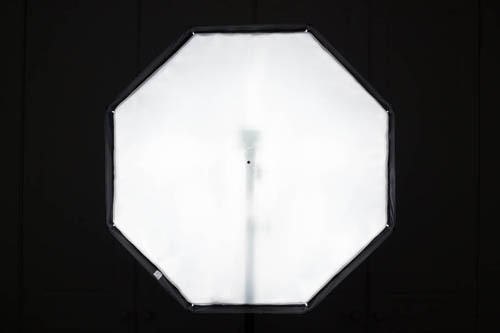 The shaft is shorter than a standard umbrella, so the front of the umbrella can be covered with a sheet of white diffusion material. The material attaches round the edge of the umbrella softbox using velcro. Because this is an umbrella design, you position the flash on the umbrella holder so that it points at the umbrella. 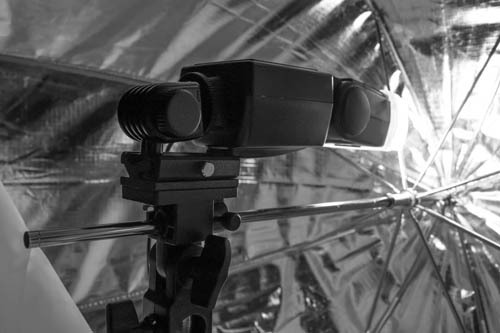 The light then bounces off the umbrella, and then out front through the diffusion panel. This gives more even lighting across the front without the need for the dual diffusion layers often used in softboxes. I bought mine from the eBay seller ynaan for £13.50 plus 19p postage (eBay auction link: Softbox 80cm/32in Octagon Selens umbrella Reflector soft box For Speedlite/Flash). It took three and half weeks to arrive. 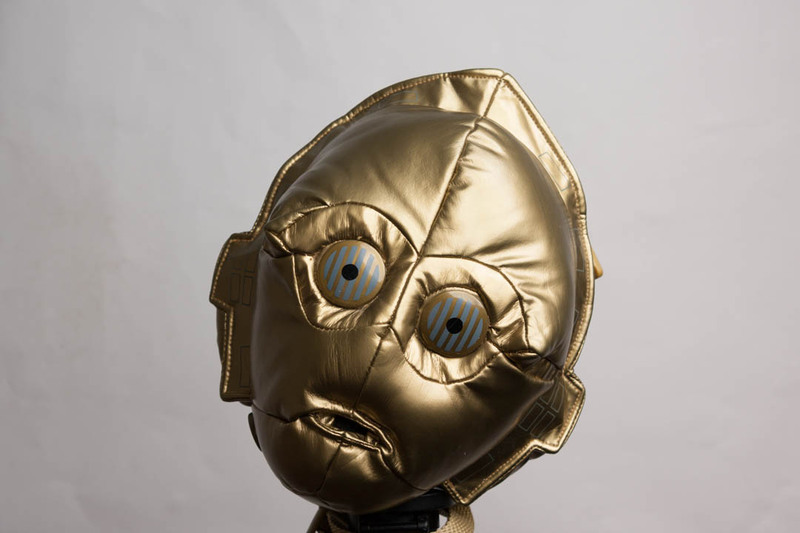 Although the eBay listing states that the item location is in Hong Kong, it looks like it was actually shipped from Hangzhou. The item was wrapped in protective foam and a reasonably thick / tough plastic bag. I think that shipping it in a box would have provided better protection, but maybe that would be too expensive for airmail. Inside the package you get a nylon bag to keep the umbrella in when collapsed, the umbrella, and the front diffusion panel. An umbrella holder isn't included, so you'll need to buy one of those separately if you don't have one already. The umbrella softbox can't be used with a standard tripod. The tripod's centre column won't extend far up enough inside the umbrella to reach the umbrella shaft. You need a column length approximately 40cm or longer (a little less when the umbrella holder is added on top). A light stand or monopod will work fine. For use on a tripod, you can use something like the Manfrotto 237HD heavy duty flexible arm. This is long enough to extend up inside the umbrella and reach the shaft with an umbrella holder attached. As an added bonus, the 237HD is a bit thinner than a solid column, so it doesn't block the light as much. One of the nice things about the umbrella softbox is that the weight is centred around the centre of the light stand, since it goes up into the centre of the umbrella. With softboxes, the weight is typically centred off the light stand, which is less stable. 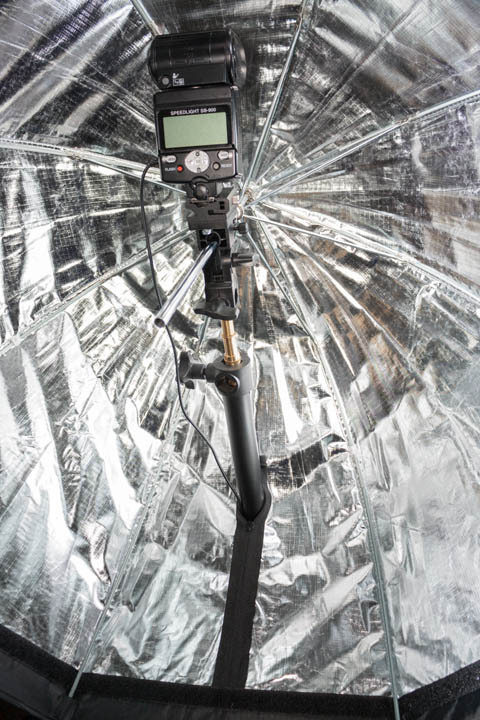 I have tried mounting the umbrella softbox on my Manfrotto 682B self standing monopod, and it balanced quite nicely. I'm not sure how it would stand up to a little wind, but indoors it works fine. Additionally, you can use the umbrella softbox hand-held. Just insert a monopod into the umbrella instead of a light stand. Then you can hold onto the leg of the monopod sticking out the bottom of the umbrella. Due the central weighting of the umbrella, this isn't unwieldy at all. Though it would be more difficult outside in the wind. 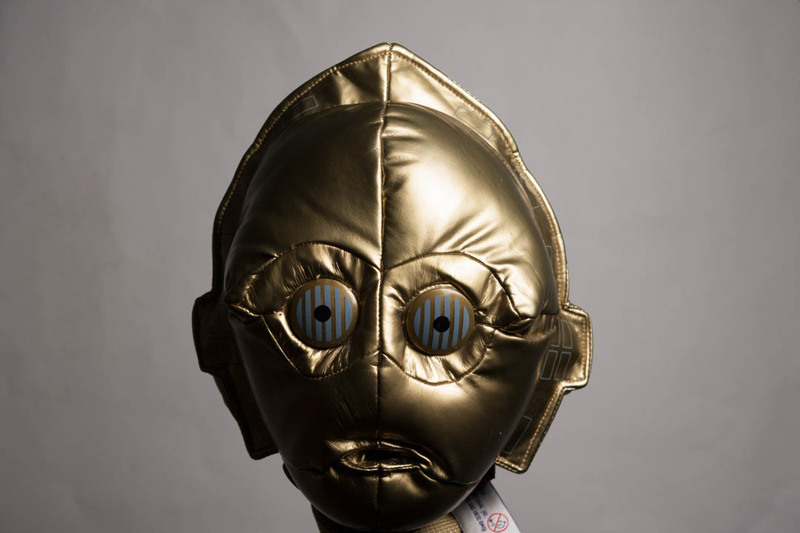 The main reason I wanted this item was to use as a white background for MYN style photography. This is where you take studio style photos of plants, isolated on a white background, but you take the photos out in the field, not indoors. 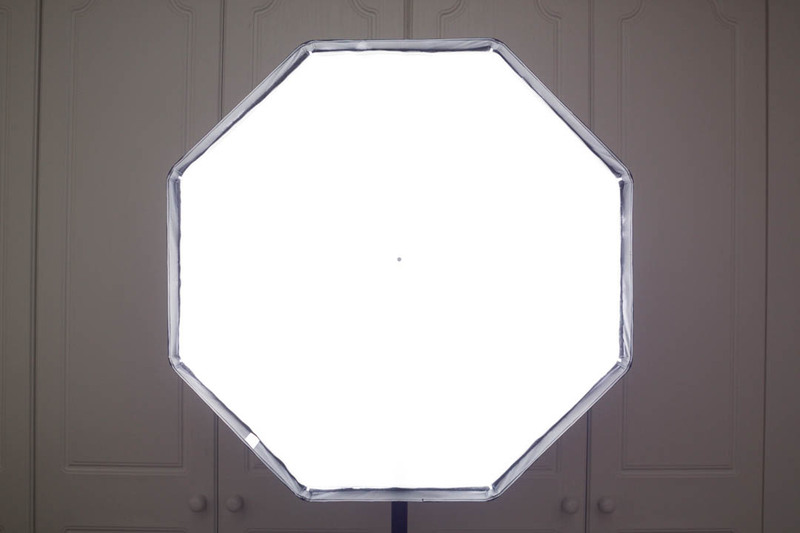 So I took some photos of the softbox, to check how even the illumination across the front panel was. With the flash positioned on top of the umbrella stand, the flash head points nearer the top of the umbrella than the centre. Using an adjustable hotshoe in the umbrella holder shoe allows you to change the flash position so that it is pointing nearer the centre of the umbrella. 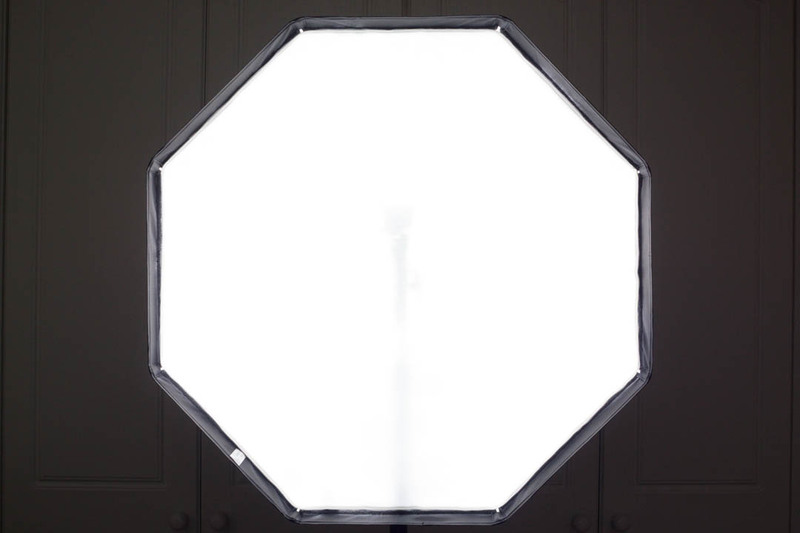 But there is an issue - that dark dot in the centre of the softbox. This is the end of the umbrella shaft. Not an issue if you want to use it as a normal softbox, but it is an issue if you want to use it as a white background. You would need to compose your photos carefully to ensure that the black dot was either hidden or placed so it could be cloned out easily. A good thing about cheap eBay stuff is that you don't feel bad about making irreversible modifications to it. So I just took a hacksaw to the final 1½ inches or so of the umbrella shaft. You probably wouldn't want to do something like that with a Westcott Apollo (though that might not have the issue in the first place). There is a slight problem with removing the end of the umbrella shaft. When closed, the bit connected to the spokes that slides along the shaft will come off the end of the shortened shaft. However, this isn't a big issue for me (so far) as it's reasonably easy to position it back on the shaft when you want to open the umbrella again. As you can see the flash and light stand are still visible. The nearer the back of the umbrella softbox you can get the stand, the less visible it will be. A small flash would be quite helpful. So I tried going back to positioning the flash in the standard position (without the adjustable hotshoe adapter), and positioning the flash / stand as near the back of the umbrella as possible. I only did a quick test, but light quality seems pretty decent. Unsurprisingly, it gives a greater spread of softer light than my Opteka 40cm collapsible softbox (with lambency diffuser). The umbrella softbox image did have 1 stop more power, but note that the highlight on the top right of the head is closer to blowing out with the Opteka softbox. 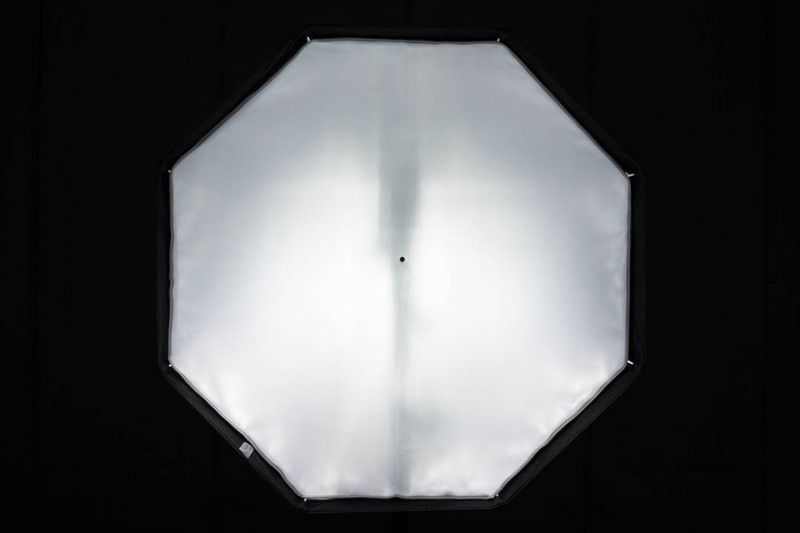 The octa umbrella softbox isn't perfect for what I bought it for. The illumination over the front diffusion panel is not even - the centre where the stand column and flash are is not as bright. However, I suspect that I can work around this without too much difficulty. It gives out quite a nice large, soft light. It is easily portable, works with speedlight flashes, and is balanced in terms of weight nicely. For less than £15 it gets a definite thumbs up from me. Thank you for the review. I wonder if using brand such as Westcott giving the same or better result. I would just send them a message through eBay. Alternatively, if you look at any of their item listings and scroll down to near the bottom of the item details, you should see the ‘Business seller information’ section. Click the company’s name and it reveals their contact details, including their email address. Currently this is given as sudassar (at) fivestarslike (dot) com.